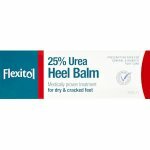 Flexitol 25% Urea Heel Balm - Medically proven treatment for dry & cracked feet (symptoms of foot anhidrosis). 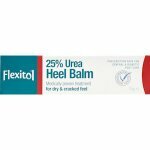 Flexitol 25% Urea Heel Balm is intended for the symptomatic treatment of foot anhidrosis and is medically proven to provide relief from dry, cracked skin on heels and feet. 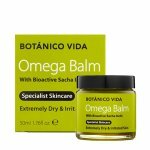 It is a highly effective formulation containing 25% Urea, as well as other skin nourishing ingredients, designed to deeply penetrate into the skin for intense moisturisation and hydration. 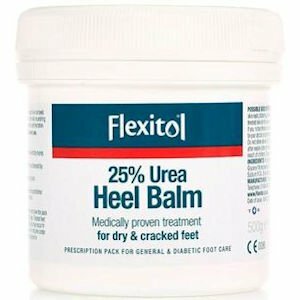 For use on the heel and foot. Do not use if lid seal is broken or appears tampered with at first use. Wash and dry hands before and after use. 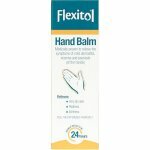 Apply enough to cover the affected area, once or twice daily (for best results twice daily), morning and night or as directed by your healthcare practitioner. Use approximately 2g (1/2 teaspoon) sized amounts, rubbing gently into the skin. Always replace the lid after each use. If no substantial improvement is seen within 14 days, talk to your healthcare practitioner. 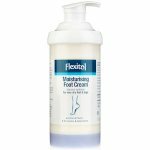 Once the skin is restored use Flexitol 10% Urea Cream to maintain condition. For external use only on the heels and feet. Treated feet may be slippery. 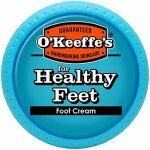 Take extra care when walking on smooth surfaces. Stinging may occur in deep cracks. Not for use on children under 12 years, except on medical advice. Seek medical advice before use if pregnant or breastfeeding. Purified Water, Urea, Lanolin, Cetostearyl Alcohol, Light Liquid Paraffin, Glyceryl Monostearate, Decyl Oleate, PEG-20 Stearate, Paraffin Hard, Phenoxyethanol, Sodium PCA, Shea Butter, Panthenol, Tocopheryl Acetate, Benzyl Alcohol, Perfume.